It is so easy to Kick back with a drink made from rum in Cuba. How many different rum drinks can you find in Cuba? A lot! 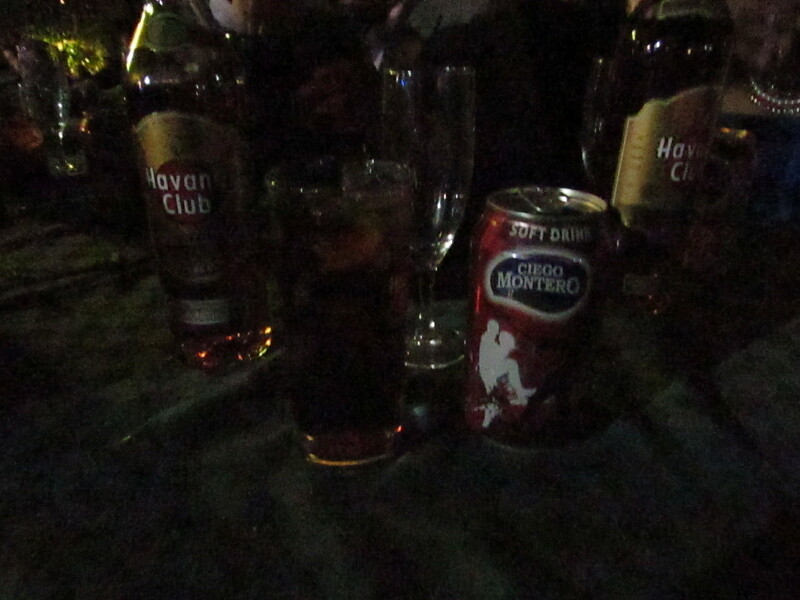 Most people will know a Cuba Libre, or rum and cola. In Cuba, you get this with a Cuban version of cola. At the Tropicana, each table got bottles of rum, cola, and a bucket of ice and could make your own throughout the evening. 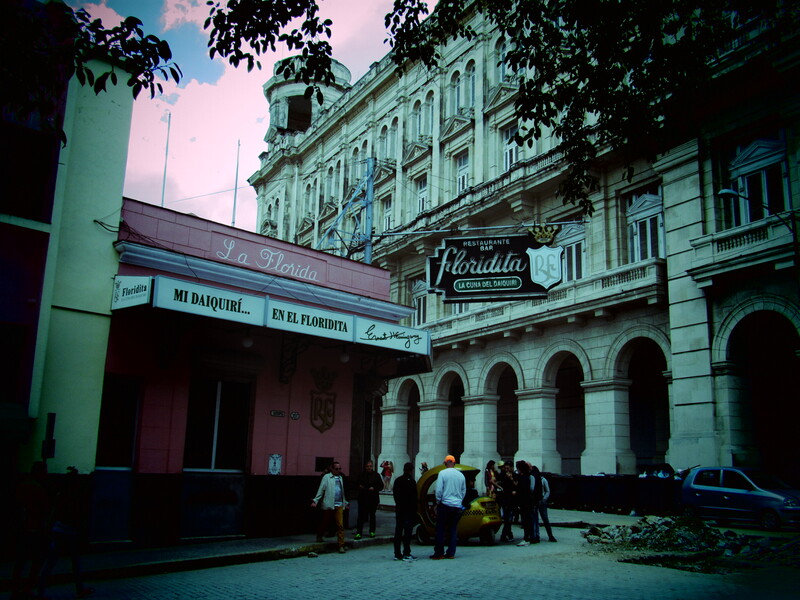 Of course, Ernest Hemingway helped make two drinks in Cuba famous – mojitos and daiquiris. Reportedly, his favourite daquari bar was the Floridita and drinks there can be more expensive than at other locations. At Café Europe on Opisbo Street, you can get either a mojito or daiquiri for $1.50 CUC — not bad! In Trinidad, I got to try what is not my favourite Cuban Rum drink, a canchanchara. It is made from rum, lemon and honey and can be served hot or cold. I had it cold, a perfect drink after a long, hot day walking around. I think this was my favourite drink! There is also different rum, depending on where you are in Cuba. The easiest to find is Havana Club. In Santiago, they have their own Santiago Club, which they consider is the best. The reason? The location of the distillery is next near train tracks. As trains roll by, the rum is gently shaken in the oaken casks, adding to its flavour. 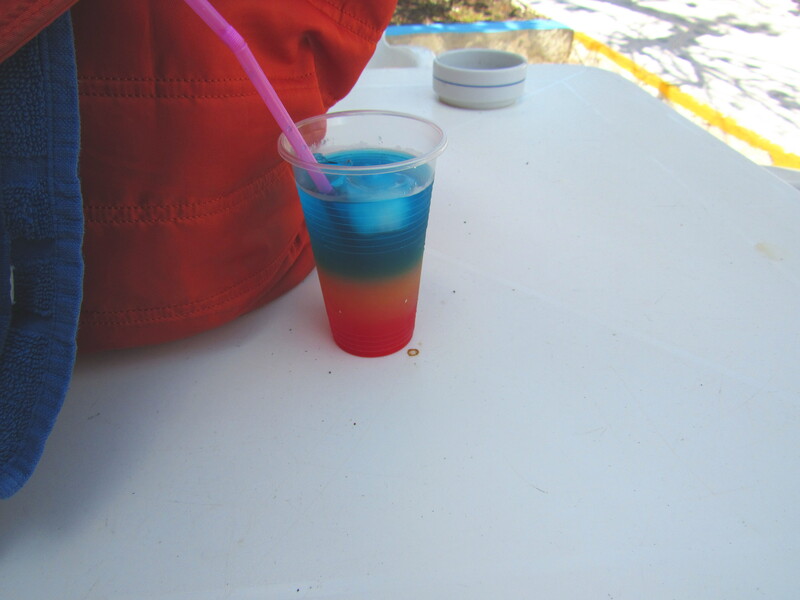 I even started my dolphin adventure with another rum drink — it was very colourful! Yum! I always have Black Cherry Rum in my refrigerator. My go-to drink is flavored rum and diet soda. Less calories and it tastes like a cherry Coke. I’m a Bacardi girl. When my sister and my nieces had a getaway weekend last fall, I brought Mojito makings for us to enjoy each evening as we unwound. He now! I could go for one of those right about now. But I can;t drink and fly my spaceship at the same time.